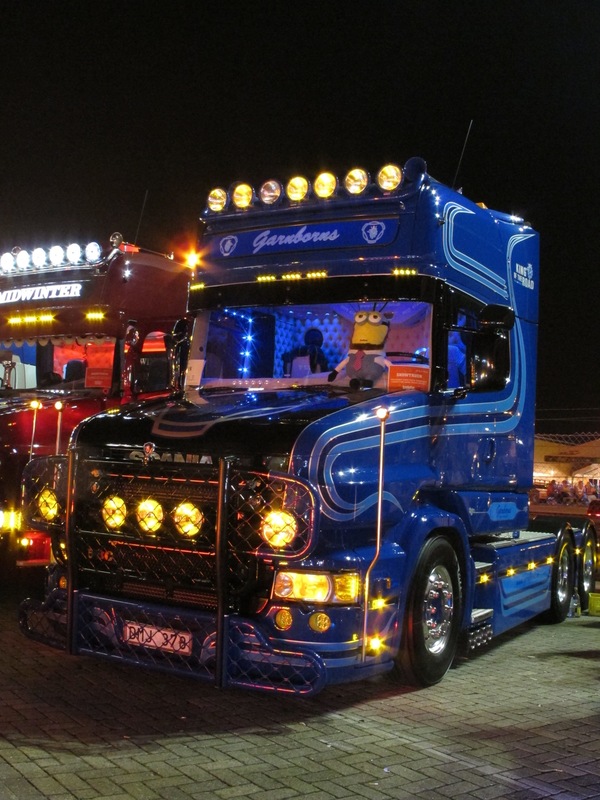 Do you drive a low height tractor unit?? There seems to be more than ever about at the moment. I want to do a Lowrider Friday tomorrow so get sending over your photos please. You can get me on all the normal channels, Facebook, Twitter, Instagramme or good old fashioned email! Come on LowRiders let’s see your trucks, I’m guessing most will be 4×2’s but extra points for 6×2’s! 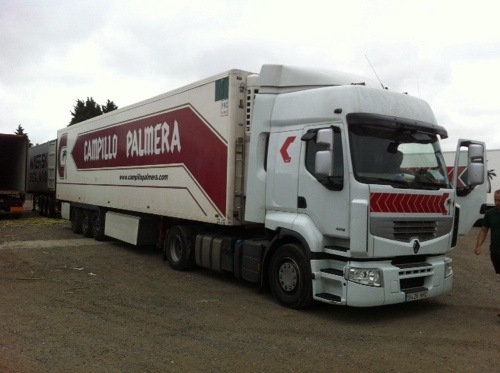 Recently at work we have been loading quite a few Spaniards back to Spain or back to Paris so they load from the french markets and then head back to Spain. Also recently I have scanned the next batch of 750ish photos from the David Scarff collection. What is the link I hear you ask?? The answer is that some of the haulage companies that Scarffy used to photograph back in the 1980’s are still the same firms that I am loading back to the continent. 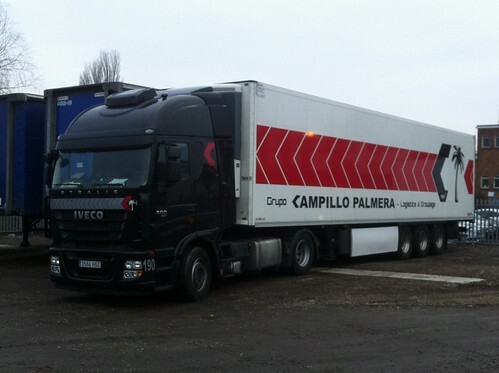 How many Spanish truck spotters can say the same for the British firms still running to the sun and back. 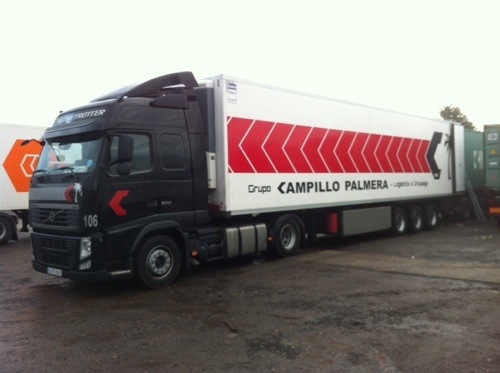 Two Spanish firms that are still doing the run and providing our super markets with year round goodies such as Strawberries, Broccoli and of course those gorgeous Spanish oranges, are the names of Campillo Palmera and of course Transportes Caudete. I’ll start with Palmera. 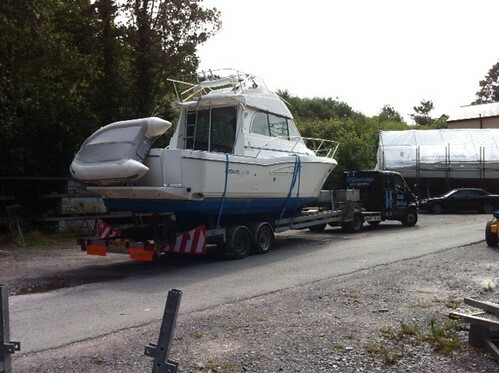 The livery on the original Pegaso above has developed into the livery on the trailer behind the Magnum below. I think you can see how its developed. 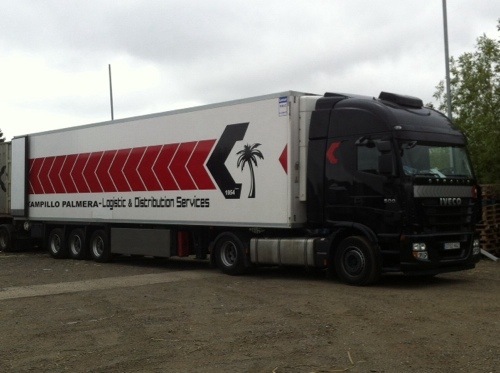 The Magnum has the trailer livery that I know and recognise as being Palmera, with the Palm Tree logo on the back doors. Where did the Palm tree come from?? Was it on the back doors of the Pegaso? I’m not sure. But you can see the livery on the Magnum has moved on a bit and as an outfit the truck and trailer show the earlier livery and the newer livery. 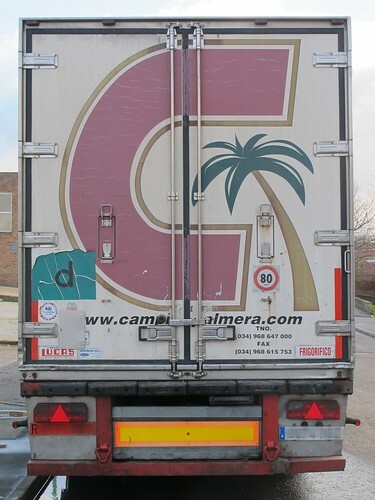 These days the new Campillo Palmera trucks still have the Palm tree on the side but the overall livery is much more of a European logistics company rather than a classic Spanish haulier. This doesn’t mean they don’t still look good! The new black cabs are smart and I guess these days with air conditioning, climate control and roof top coolers, the cabs no longer need to be white to reflect the sun and keep the heat down in the cab. Even so it’s still good to see the company are still going and are still coming to the UK for our enjoyment in all respects! Now as for Transportes Caudete, they still have a fairly traditional livery that is very close to how its always been. 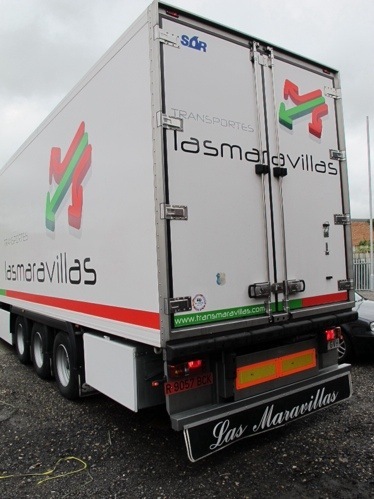 Red tractor units and white Spanish looking frigo trailers. 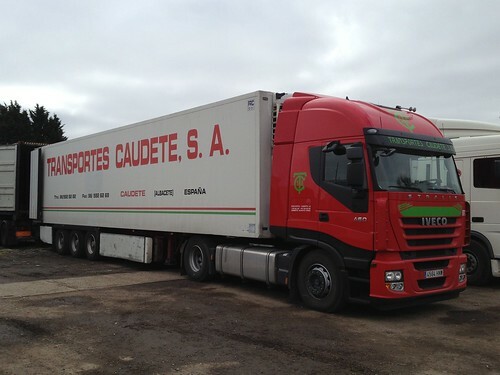 Much the same as British hauliers the Spanish used to favour using their own trucks, like the Pegaso, the Spanish Seddon Atkinson. But now due to the demise of these small manufacturers, the Spanish, like the rest of Europe, use the same as everyone else. 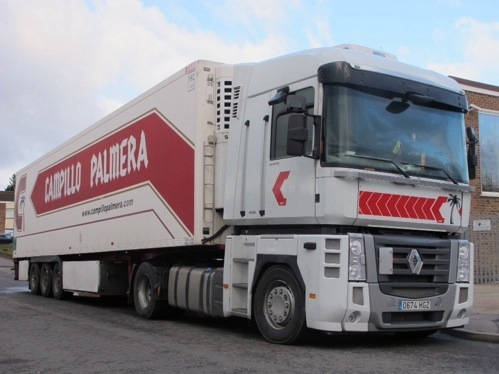 Although Renault and Iveco seem to be the favourites for these 2 hauliers, we have had a couple of new Volvos come in for Palmera. 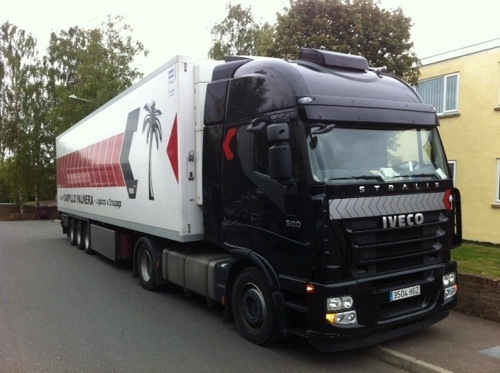 Most of the Caudete fleet nowadays are Iveco with a few MAN. This Iveco was only a week or 2 old as the tyres were still immaculate and had that look of brand new tyre about them (good description huh!). The driver was quite happy with it. As you can see the Caudete trailers have remained very much the same. Old and new just having what they need to have on them, the company name and what they do. 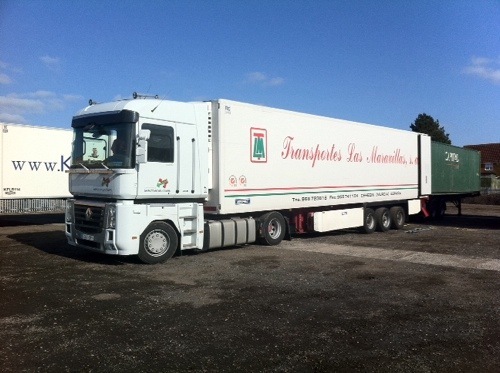 The older trailers do look more continental but again this is down to the improvements in modern trucks I think. There is no longer a great need to keep water and food on the side of the trailers as a modern truck cab has plenty of room for storage inside. I do still like the idea of a water tank on the truck some where, there’s nothing like a cold wash to cool you down or wake you up! 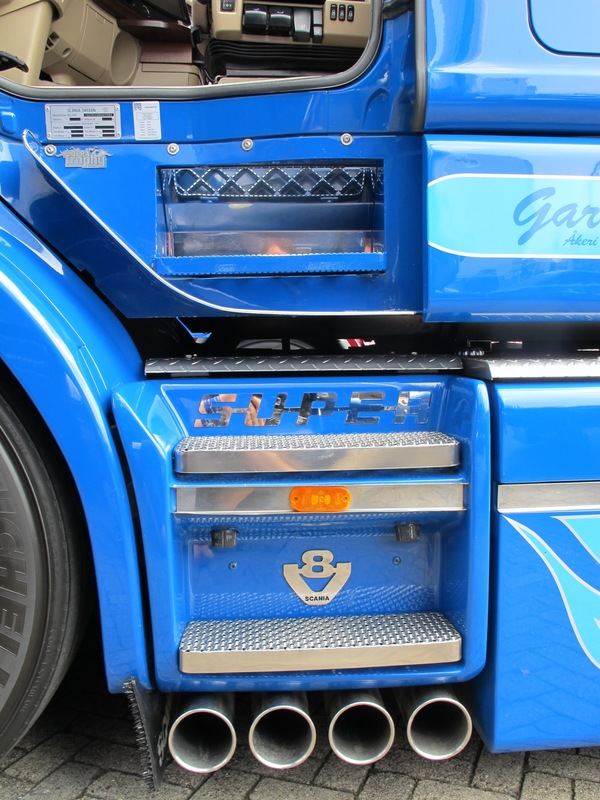 The one thing that is missing on the modern trucks is the 2 light up sign boards on the top of the cab. The yellow square one and the yellow triangle with the blue background. As I understand it these used to be some thing to do with the ferries, but I need one of you lot to tell me more please? 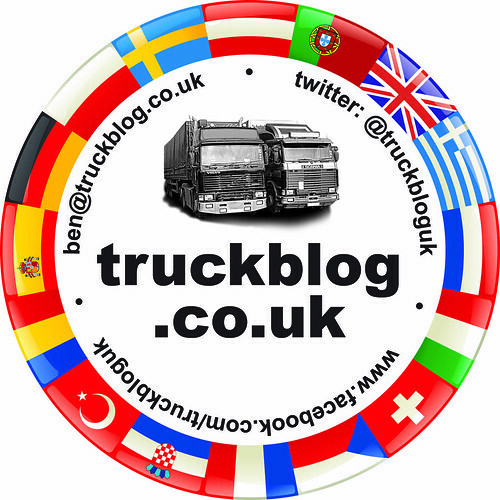 Email me, ben@truckblog.co.uk or leave a message below. Now and again I put a few things on here I find for sale on the Internet, but this time it’s something that i’ve been emailed this weekend. 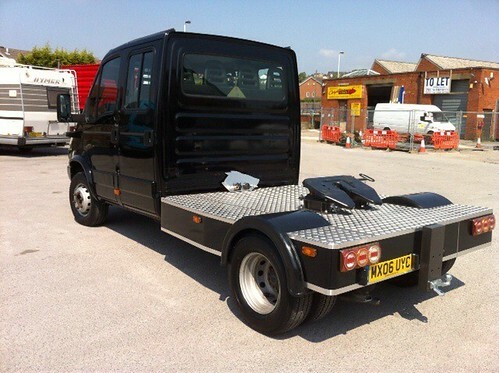 As far as i’m concerned it qualifies for “truckblog” as it is a tractor unit and trailer. Stuart Beevers, from what appears to be his own company, SPB Boat Haulage emailed me asking if I knew of anyone looking for a mini artic. Unfortunately I don’t off hand but i’m hoping that one of you lot does. 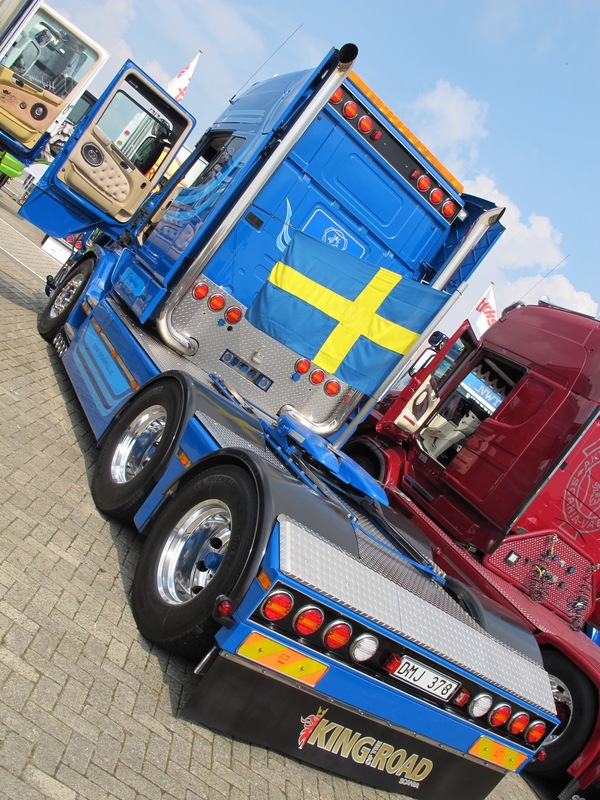 If you have any interest then please email me: ben@truckblog.co.uk and I will gladly put you in touch with Stuart. 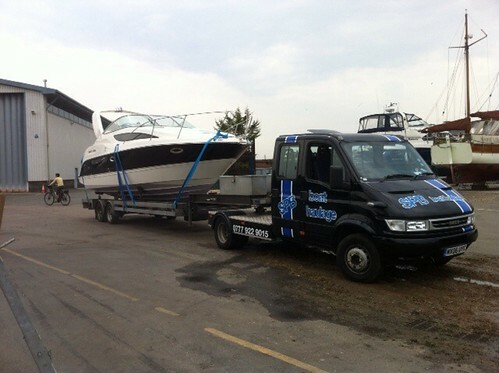 Perhaps I need to get myself into boat haulage so I can finally get a mini artic! Just over a week ago on a wet and windy evening I landed back at Stansted Airport, complete with 5 blisters and a Bratwurst in my pocket. 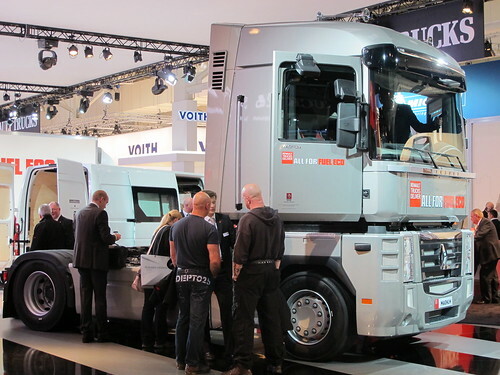 Last Monday I spent the whole day at the IAA Commercial Vehicle Show in Hanover, well it should have been 9-5 but the German bus driver side swiped a car on the Autobahn on the way, so we were a whole 45 minutes later than planned! 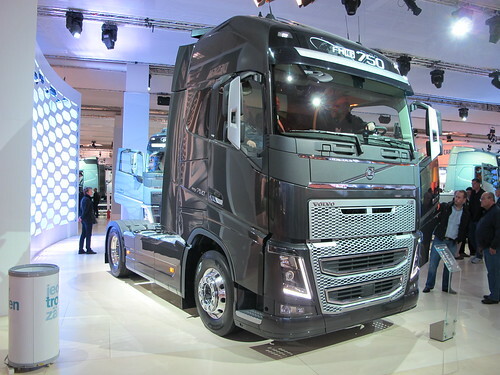 This therefore put me onto the Volvo stand 45 minutes after everyone else, so by the time I found it the Swedish stand was already heaving with people gathering to see the ugly but intriguing new Volvo FH. 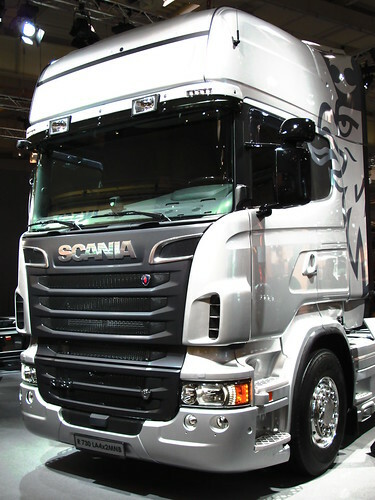 I for one sat and watched the launch of said new FH on the Internet the other week and have to say I was part of the large amount of you who think it is as ugly as the front end of a bus. 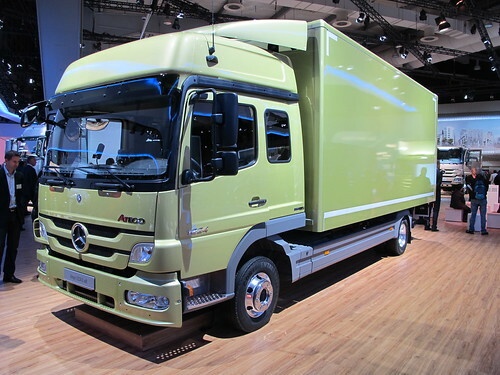 But when the new Mercedes Actros arrived I was also very sceptical until I saw it in the flesh. Having sat up high overlooking the Volvo stand for quite a while I did come to the very simple conclusion that the reason it is “ugly” is only due to the grill, the actual shape is very tidy. We are so used to the badges of trucks being on the grill, is it just the case that it’s different, that is the cause of the visual unlikenment! 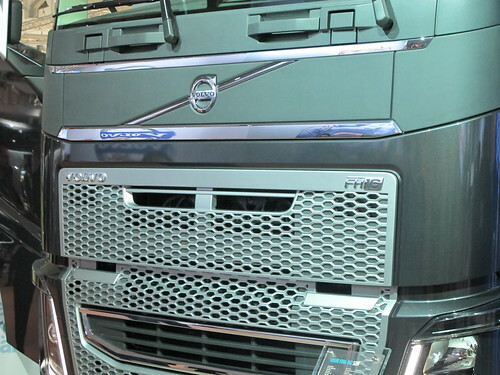 I’m sure you have seen the photo shopped pictures of the new FH with the Volvo badge mounted on the grill and I think it looks so much better. 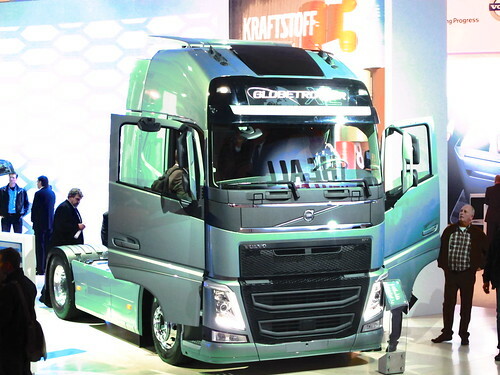 I think there will soon be an after market pack to change the front of your new Volvo if you so wish. Other than the grill issue, the shape of the new Volvo on the outside is rather nice and it seems different. Amazing how designers can make a shed on wheels constantly seem so different from manufacturer to manufacturer! 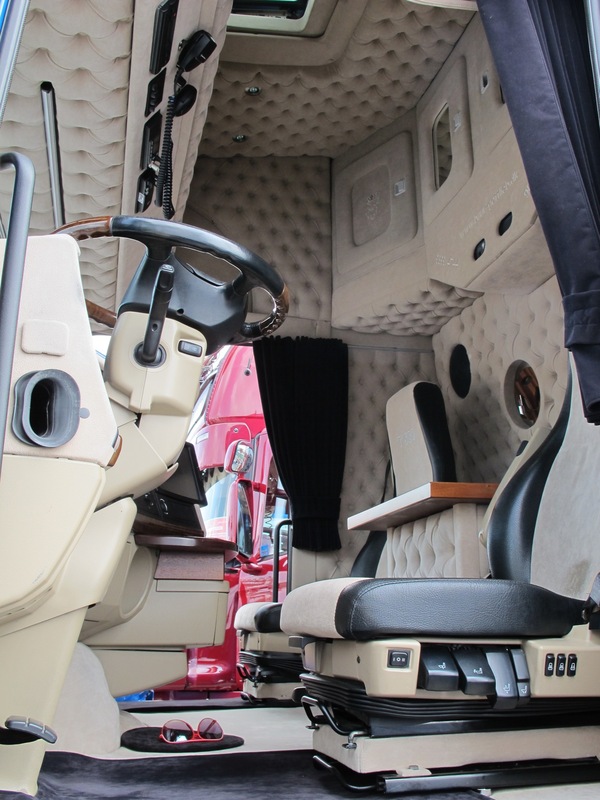 As for the interior, well it is rather comfy. Gone is that old FH feeling of the front of the truck closing in on you. It feels huge inside (a whole extra cubic metre of space), with big lockers above the windscreen along with a rather nice sunroof panel (actually a real escape hatch! ), a swivel passenger seat, a table, the list goes on and what ever I write on here won’t really do it justice. It is a Volvo and the quality is Volvo. Designed with you in mind, its super practical but also can be super comfortable if required. 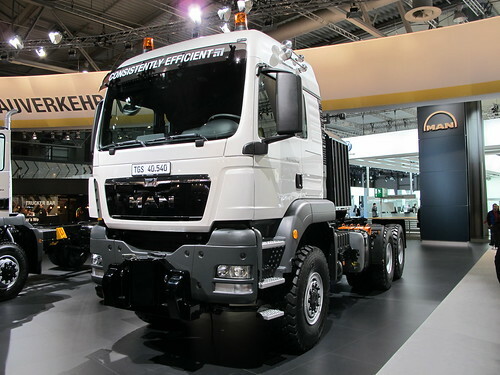 My overall opinion of the New FH has been changed. 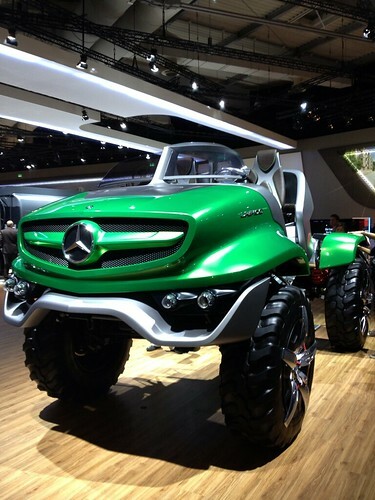 I like it….a lot. 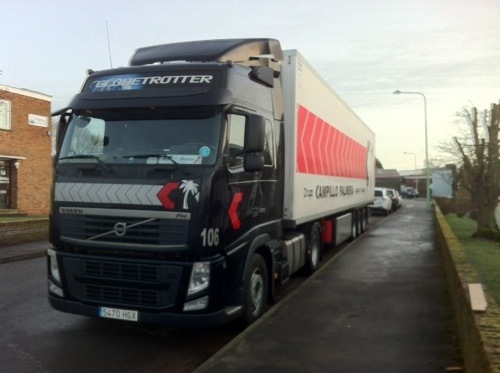 Ugly or not, it’s a Volvo, it’s practical, it will earn you money and keep your drivers happy. 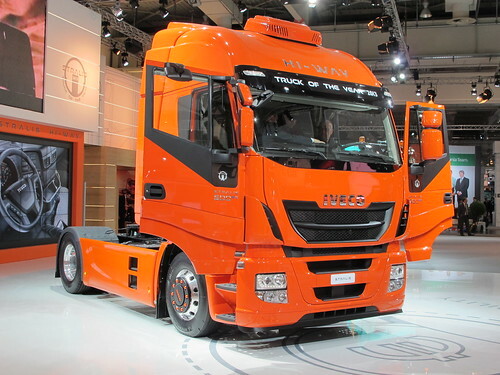 On with the show… The Iveco stand with it’s new crown of Truck of The Year, was amazing orange. The crazy Italians have gone a little colour crazy, but I will say zis once, the Iveco stable gets more appealing!! 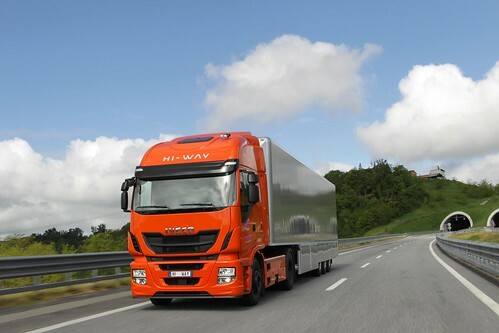 There you go SW I really did say it, the new Hi-Way Stralis is ok.
DAF also went with orange, but it kind of suits the new childlike, cartoon front end of the XF, only problem being is that it’s not a kids toy. 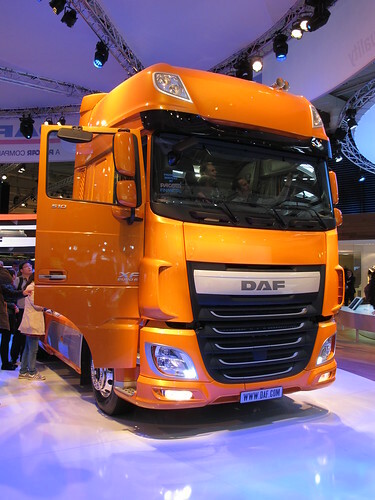 The DAF XF is one of the most popular trucks in Europe but i’m afraid DAF haven’t impressed many people with the new look, I for one am not keen. 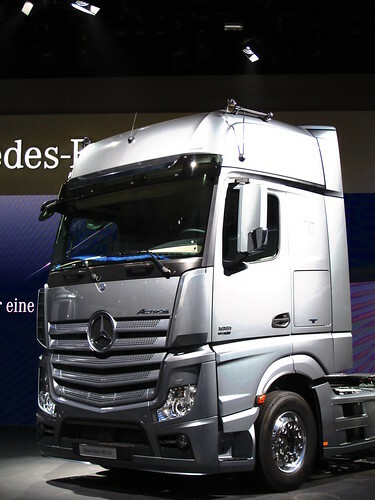 Are they old Mercedes Actros headlights?! Perhaps some slightly older adolescence should be offered the sweet bag when the next update is due. 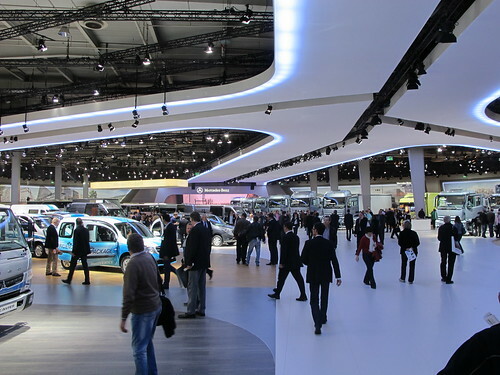 The Renault stand gave me the feeling that they were trying to divert your attention away from the fact their centre piece was a 22 year old French piece of art. 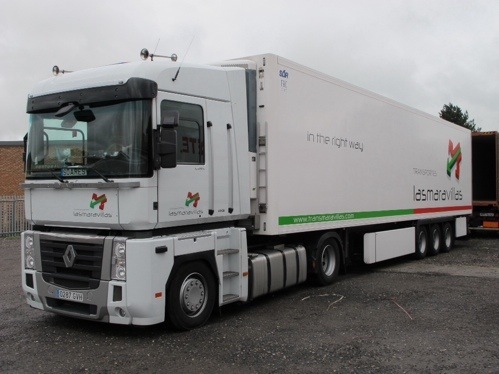 Although the Magnum is still different to the rest, the fact that Renault had the most beautiful girls to attract you in, the trucks were the same as when I went to Hanover in 2010. I’m not sure how they can or will replace the Magnum, but I think a breath of fresh air is required in Renault land. 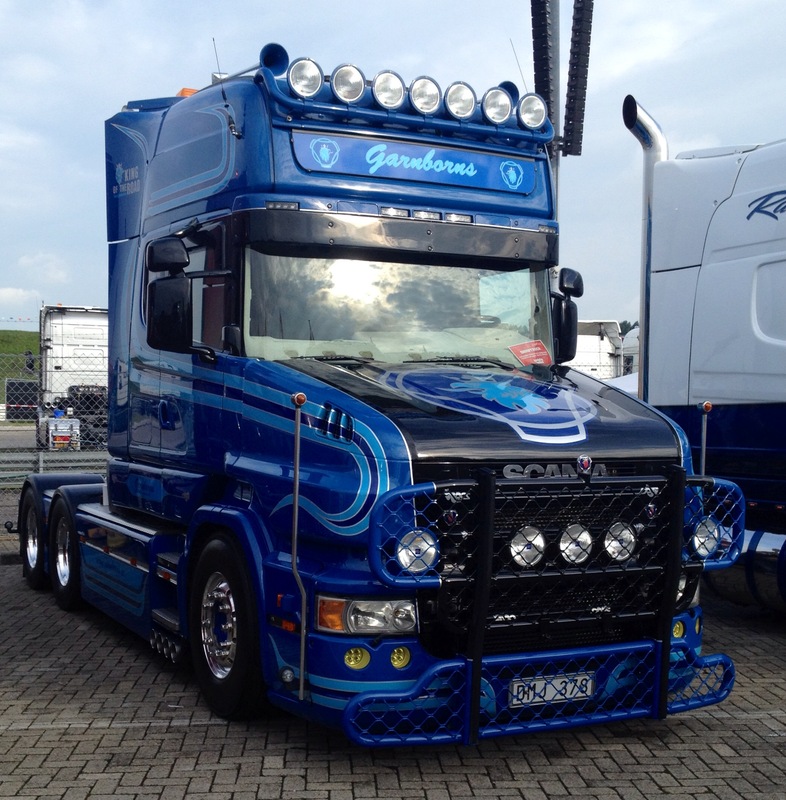 Hide it, talk it down, do what you like, what ever you do the R730 Scania is still a beautiful thing in my eyes. On show in a nearly white, silver it is still an awesome piece of kit. 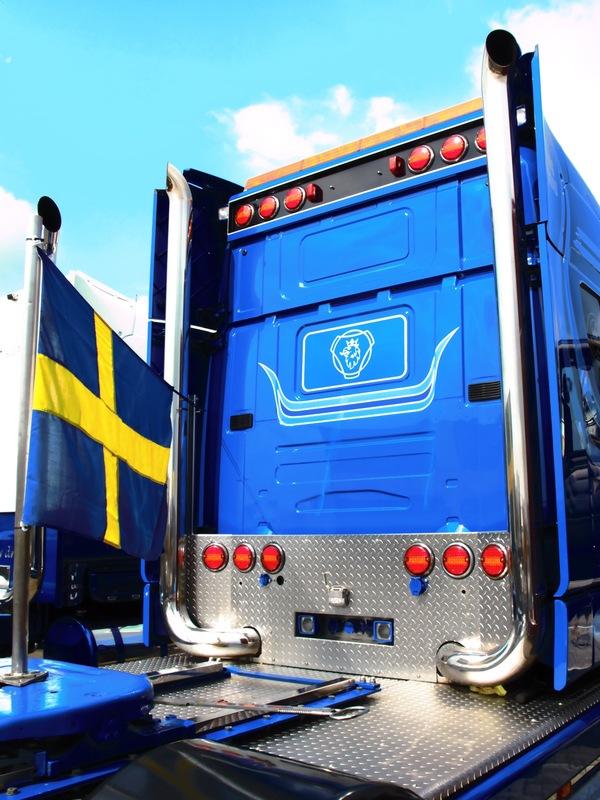 If you have not driven the current generation of Scania trucks, then before you slate them, take one for a drive. I still feel there is no truck with a better, more confident ride, backed up with the legendary V8, all its needs is a little something on the inside, but i’m not sure what. The Daimler hall was so impressive it was untrue. The size of a couple of football pitches. 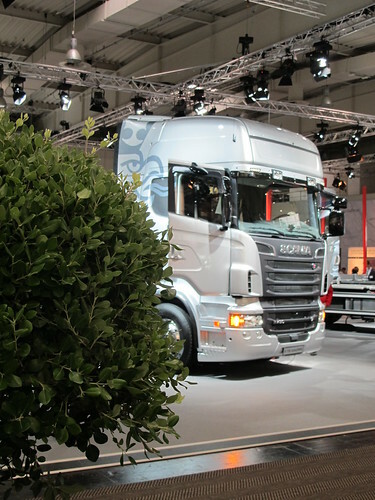 From the small vans right up to the new Actros, buses and Unimogs, all models were available for you to get your sticky paws on. 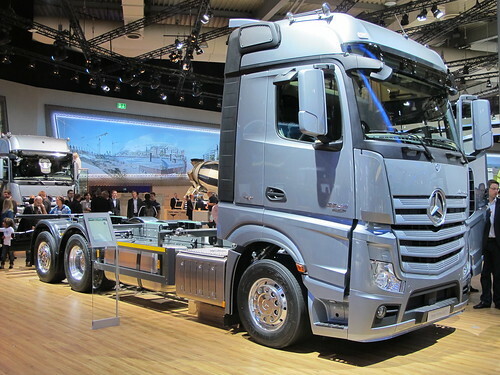 The new Actros in all it’s guises is highly impressive and I have to say that it is still in my top 3. Lovely looking truck. 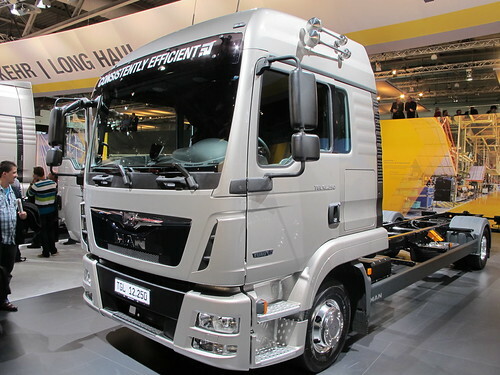 They had a nice little Atego on the stand, but it has to be said that it does need it’s new cab, which will bring it in line with the new range and the new look. More to come on my thoughts of the Atego replacement. This just leaves the MAN hall. There was tons of other stuff to tell you about at the show and I will get round to it, but I thought you’d be happy with a general sum up of all the major players. MAN, like their German rivals had a large display, with loads of trucks and lots of buses, as well as the South American Volkswagen trucks. 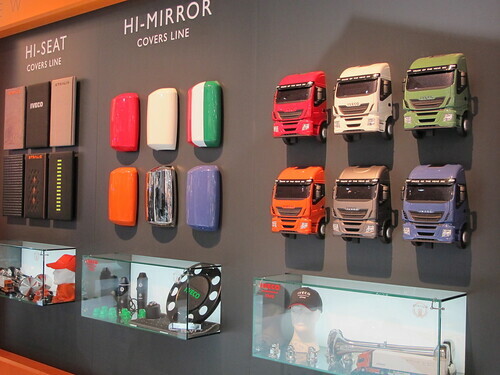 The normal trucks on the stand were popular and each truck has a couple of MAN employees to help guide you round each truck and answer your questions. There was a big special TGS 40.540 tractor unit designed for off road heavy haul use, and I wish i’d taken a few more snaps of the chassis and springs as it was a monster. The whole show was knackering. There is so much to see, but despite the bus drivers best efforts I just about had enough time to see it all and go back and see my favourite bits a second time. Probably a good year to go too, what with the new Merc’s, the new Iveco, new look DAF and of course the completely new Volvo, it was a good day out despite the blisters. I have loads more pics, yes I do, click HERE to see them. Also I will put more stuff I saw at the show on the blog over the next few months. 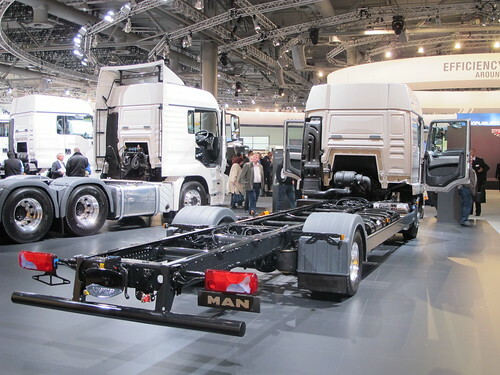 As well as the normal trucks, there are stands of trailers, vans, parts, etc etc etc. In 2014, treat yourself and go. 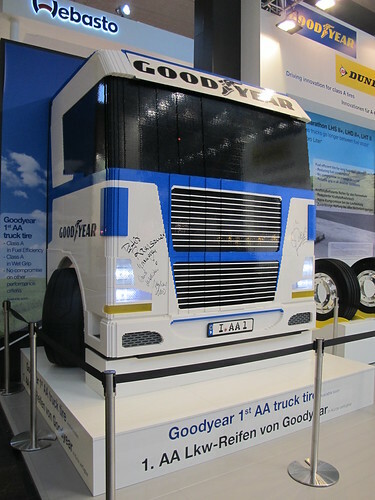 You might even see a full size Lego truck!